"Anti-White Gowns". And again, back then, there weren't very many examples to feature. Fast forward to 2016 and we are so thrilled that we have awesome artists like Quirky Creatives who share the same vision as we do and who share the same beliefs that bridal gowns don't have to be white--nor do they have to be plain. 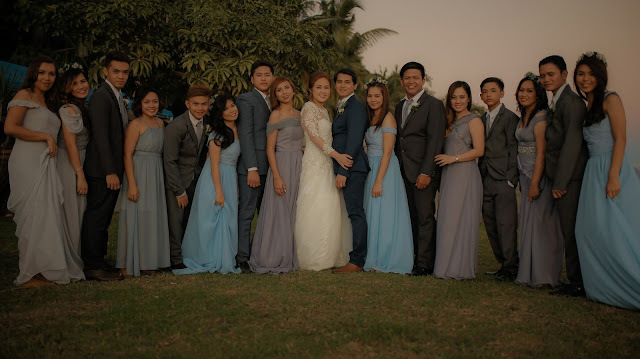 Together with Tipping Point Collective, Jacq's Florals Design Studio, and REAL Makeup Artisty, Quirky Creatives collaborated with this rebel team to come up with printed bridal and groom looks that are definitely inspired. Today's feature is all about a wedding theme hooked on a feeling. No shenanigans, no bells and whistles. 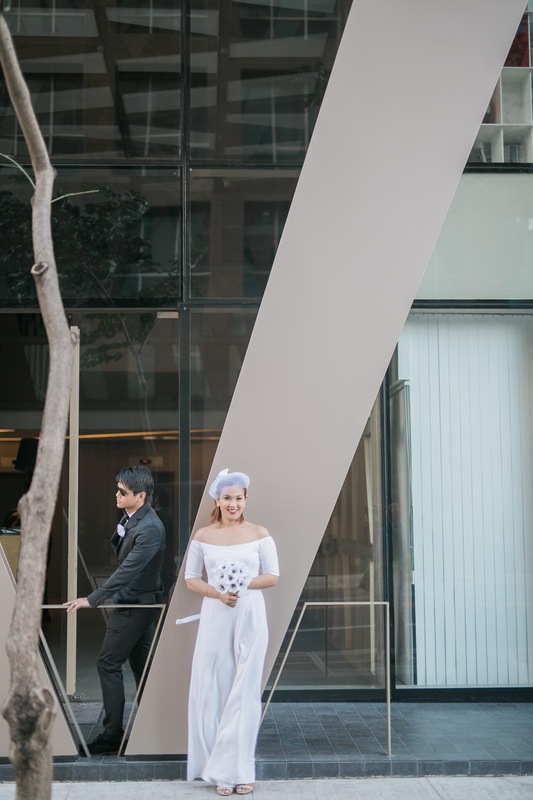 With the plethora of beach, garden, and church weddings, it's refreshing to see Jem and Moshe's city rooftop wedding riddled with thoughtful minimalist details. Think black and white typography, architecture, and the bride's rebellious bridal jumpsuit!